Digital chronometer and compass displays. Vector design of clock and time icon. Set of clock and circle vector icon for stock. Isolated object of clock and time symbol. 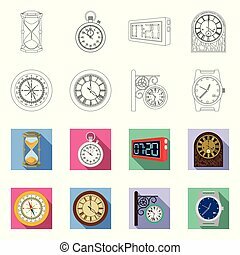 Collection of clock and circle stock vector illustration. Isolated object of clock and time icon. Collection of clock and circle stock symbol for web. Isolated object of clock and time logo. 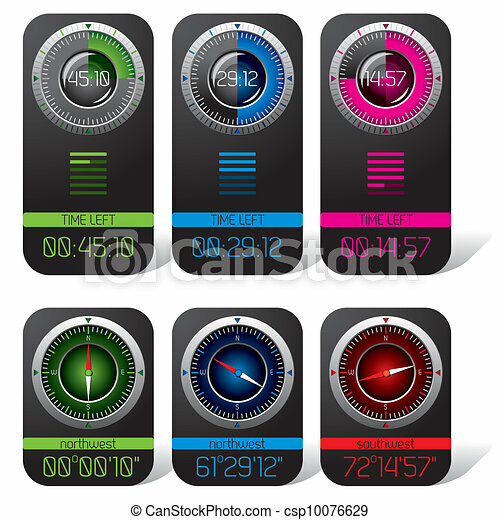 Set of clock and circle vector icon for stock.